If you spend enough time in Milledgeville during the haunting season, you’re bound to hear whispers of the legend of Dixie Haygood. These stories have been passed from generation to generation and remain an important part of Milledgeville folklore. 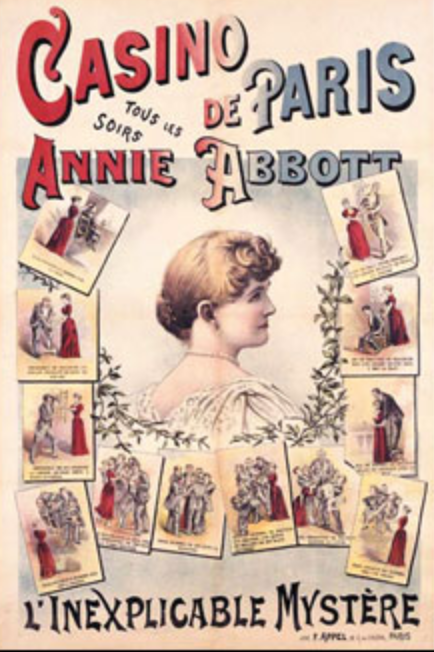 Born in 1861 in Milledgeville, Dixie Haygood, who performed under the name Abby Abbott, was a stage magician who enamored crowds with her magic tricks. Haygood’s act consisted of holding a billiard cue in one hand while a group of men tried to force the billiard cue to the ground but were unable to do so. While she never disclosed how her powers worked, she became known as a magician and top vaudeville entertainer. At a petite 100 pounds, Haygood could resist being picked up by the strongest of men, an “inexplicable mystery.” She could lift as many as 4 or 6 men at the same time, yet they were unable to lift her. Rumors about Haygood began to spread quickly, as they do in small towns, that her talents were owed to psychic abilities and witchcraft. 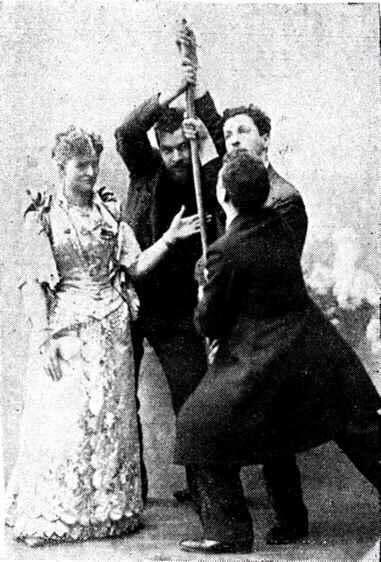 None of these rumours were true; Haygood was simply an expert at her craft and could manipulate crowds of people by using force deflection and optical illusions. Her performances took her around the world, from our small town Georgia to New York City. to a very successful 6 week run at a London theatre and beyond. 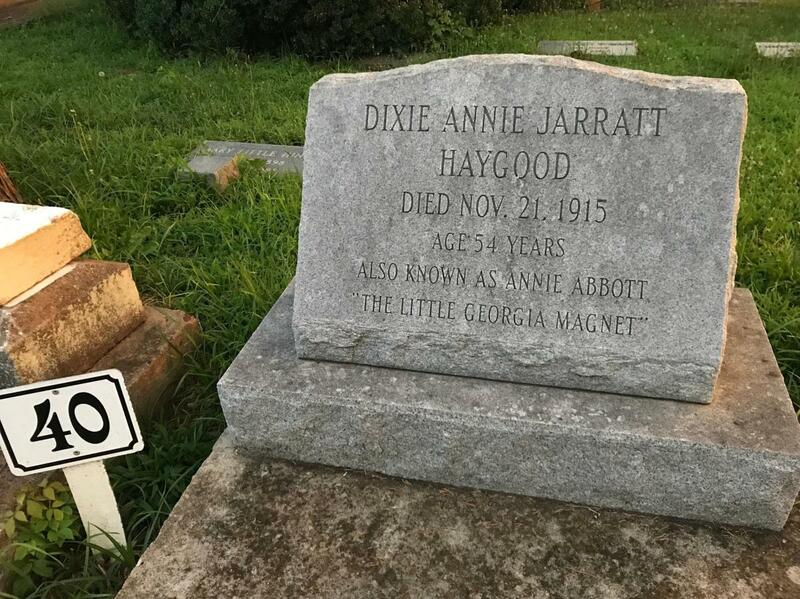 Called “The Little Georgia Magnet,” she inspired other women to pursue performing magic and even had a magic act named after her. Haygood’s stories are still passed down today through locals and events like our annual Haunted Trolley tour. She died on November 21st 1915 and her gravesite can be seen today in the Memory Hill Cemetery.